Designed with Keen Grip technology, the non-marking rubber outsoles are made in a no-slip, traction-friendly design. The soles are tested to meet ASTM F1677-96 MARK II slip-resistance safety standards. Oil-resistance protects the tread from corrosive chemicals. Wear the right shoes for the job you're doing. 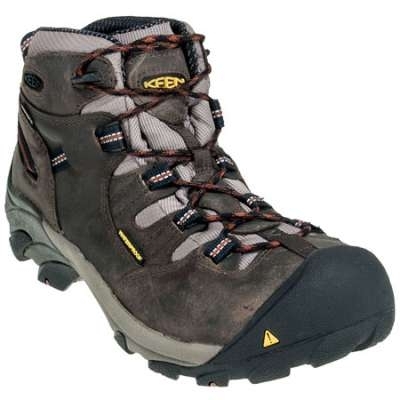 Wear Keen Men's Detroit 1007009 Olive/Brown Soft Toe Waterproof Work Boots.